The miraculous secret of Ancient Asia is now available worldwide! The reishi mushroom (Ganoderma Lucidum) is one of the most revered herbs in traditional Chinese and Japanese medicine, with a documented history of over 2000 years. Known as Ling Zhi in China, there are references to its use as far back as 100 B.C. where it was referred to as the 'Herb of Spiritual Potency' and the 'Ten-Thousand-Year Mushroom'. Ganoderma Lucidum is one of the most highly regarded medicinal supplements and is probably the best choice when looking for a general health tonic to improve overall health and increase longevity. Modern clinical research also supports many of the uses for this mushroom as described in traditional medicine. It benefits immune health, cardiovascular health, and liver function. Because of its superior oxygenation properties, Ganoderma Lucidum is also frequently used by mountain climbers to combat altitude sickness and is contained in many of the performance-enhacing herbal formulas used by Chinese athletes. tea, & chocolate beverage blends. The first step use to use the fruit bodies, not the mycelium. Reishi mycelium does not contain any triterpenes. Only the mushroom contains triterpenes which is why we use the mushrooms to make our extract. There are thousands of studies proving the effectiveness of hot water extracts (liquid and dehydrated). Yet to date our research has not located any independent studies verifying the effectiveness of mycelium bio-mass, un-extracted mushrooms, or alcohol tinctures (hydro-alcohol "extracts"). Only hot water extracts have the clinical studies and history to validate the proven health benefits. *** Which extraction method would you bet your health on? Mushrooms are unique, stationary like a plant, yet built from chitin, the same indigestible fiber that forms the shell of a lobster. Understanding the properties of chitin is critical to understanding how to choose an effective, high-quality medicinal mushroom product. Chitin is indigestible by humans. Yet chitin, which makes up the cell walls of mushrooms and mushroom mycelium, contains the potent immune stimulating compounds common to all medicinal mushrooms, the polysaccharides. Practitioners of Traditional East Asian Medicine and modern clinical researchers both use the same preparation technique to overcome this barrier, hot water. Only a heated liquid solution can break down the indigestible chitin and release the active compounds into a concentrated, bio-available form. When used in Traditional Chinese Medicine for chronic conditions or immune health medicinal mushrooms are always prepared with heat and water, as a tea or a decoction. Medicinal mushrooms are never used in the un-extracted form (as mycelium bio-mass powder or dried mushroom powder), and rarely prepared as a tincture (soaked in alcohol and water in the absence of heat). Scientific research backs this traditional preparation method. Every published, independent study on the use of medicinal mushrooms for immune health has been conducted with a hot water or hot water/alcohol extract. Every form of extraction, including precipitation with alcohol, requires a heated liquid solution to first release the polysaccharides, the primary active compounds, from the chitinous cell walls of the mushroom and mushroom mycelium. According to the American Herbal Pharmacopoeia, mycelium bio-mass products are inferior because of a "lack of bio-availability". This publication also states that concentrates derived through hot water extraction contain levels of active compounds that are "magnitudes higher than what is available in crude mycelium biomass preparations." We take these lessons seriously. Our dehydrated hot water extracts are strictly formulated to deliver all of the important constituents unique to each mushroom. Every batch is analyzed for purity, contains guaranteed levels of the active compounds, and is offered as a pure extract, containing no mycelium bio-mass or ground mushrooms as filler. 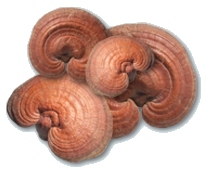 The certified organic reishi mushrooms are grown on wood, the way nature intended. Every extract is carefully prepared, capturing the complete essence of what made these medicinal mushrooms valuable in the ancient herbal traditions of Japan and China. Quality is guaranteed; each supplement is formulated to deliver consistent and effective levels of all the primary active compounds identified in the scientific research. Potency is listed on the label, allowing you to take full advantage of the dosing recommendations proven effective in the scientific research. Adults: Take 1-2 capsules, twice daily on an empty stomach. If pregnant or breast feeding, consult a health professional before using this product. Always consult a health practitioner before usage with children. 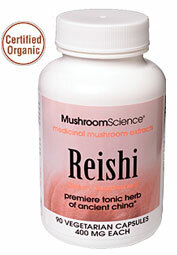 People with a hypersensitivity to mushrooms should not use Reishi Gano. 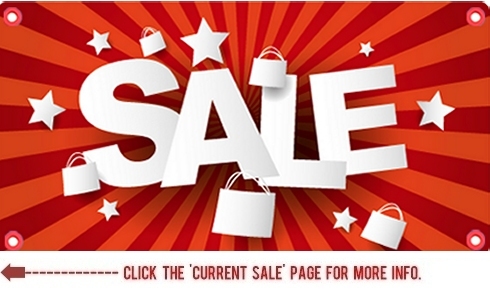 Click to add Reishi Gano to shopping cart! - Mark Stengler, N.D. "The Health Benefits of Medicinal Mushrooms"
- Terry Willard "Reishi Mushroom: Herb of Spiritual Potency and Medical Wonder"
- Kenneth Jones "Reishi: Ancient Herb for Modern Times"
- Paul Pitchford "Healing With Whole Foods: Asian Traditions and Modern Nutrition"
- Andrew Weil M.D. "8 Weeks to Optimum Health"
- Harriet Beinfield "A Guide to Chinese Medicine"
- James A. Duke "The Green Pharmacy: The Ultimate Compendium Of Natural Remedies"
- Rebecca Wood "A Comprehensive Resource for Healthy Eating"